This is a super nice 8.5 Gram (131.1 Grains) natural Australian Gold Nugget from the Bendigo Gold Fields of Australia. It was found by a prospector using a metal detector. It is 5/8" (15 mm) long and very fat and has some real pretty white quartz inclusions. 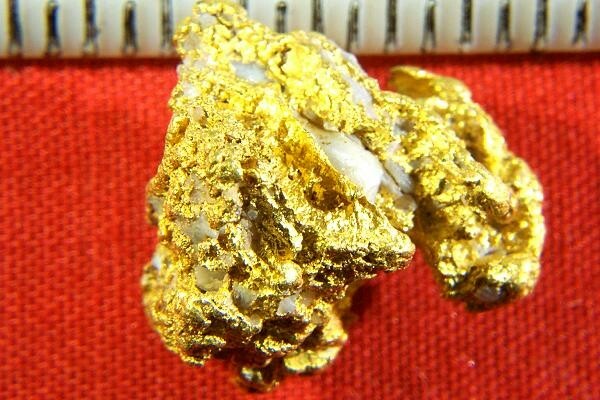 Investors, jewelers and collectors love Australian Gold Nuggets because of their high purity and beautiful color. This fantastic gold specimen has great texture and character. It is a very high quality hand selected Investment/Jewelry grade natural gold nugget at a really good price. 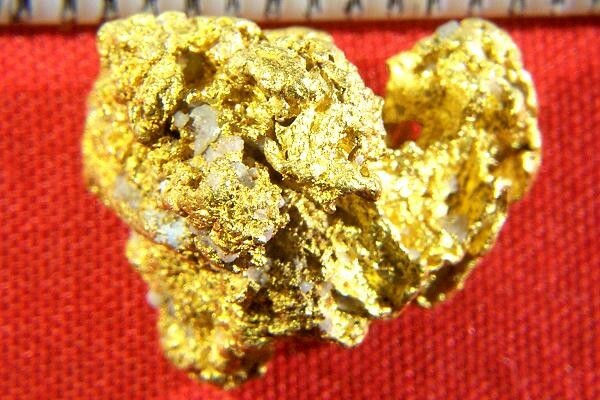 What a pleasure to own such a spectacular natural gold nugget.